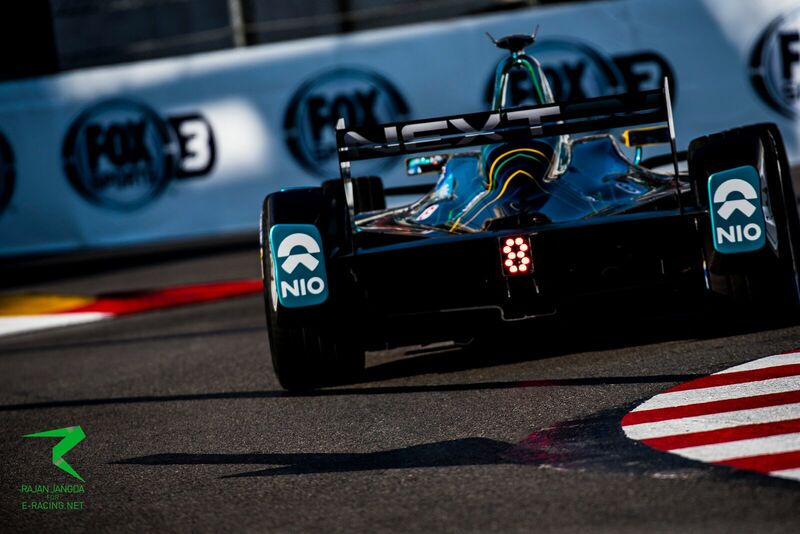 After scoring its second pole position of the season in Mexico City, NextEV NIO were hopeful of a similarly strong performance in Monaco and ran at the sharp end with Nelson Piquet Jr while Oliver Turvey was hampered by a mistake in qualifying. The NextEV NIO have been doing everything they can to make the most of their improved car, with Piquet Jr contending for a podium in the early stages of the race before tangling with the Techeetah of Jean-Eric Vergne on lap 21. The Brazilian was lucky to come away from the incident with only minor damage and held on to bring home fourth place, while on the other side of the garage Turvey, who took pole in Mexico City, looked to get into Super Pole again but tapped the wall on his flying lap and qualified 15th. Progress in the race was hard to come by for the Englishman, who came home in 13th place and went away with a no-score for the first time this season. “Another tough day at the office for the NextEV NIO Formula-e Team. Qualifying was obviously another good session for Nelson but, unfortunately, Oliver damaged his suspension early in the first session and hence the rest of his qualifying lap was compromised. In the main Nelson’s race was uneventful, although the safety car being brought out put a twist on both his and the rest of the field’s race. Both Nelson and Oliver pitted on the same lap, Nelson re-joining the track in 4th position where he remained to the end of the race. Having taken a podium in the inaugural Monaco ePrix en route to the championship crown, Piquet Jr went to Monaco looking for a repeat result after showing front-running pace already this season. 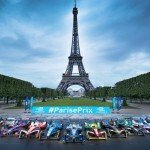 The Brazilian took a top five grid slot for the fourth time in season three and qualified his NextEV NIO in third behind the Renault e.dams of Sebastien Buemi and the ABT Schaeffler of Lucas di Grassi. 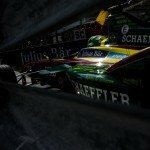 The race proved to be more tricky for Piquet Jr, as a battle with Vergne ended in tears as the Techeetah piled into the barrier as the two driver’s wheels tangled coming out of the hairpin. Piquet Jr drove away unfazed by the incident and brought the car home in fourth place, but couldn’t contain his disappointment with his rival following the race. Confidence was not in short supply for Turvey off the back of his maiden Formula E pole position in Mexico City, which was coupled with the Monaco track being one at which the Englishman has won before. The day didn’t start off in the best way as Turvey was the innocent party in a heavy shunt with the Mahindra of Felix Rosenqvist, who piled into the back of the NextEV NIO at the hairpin. Things didn’t get much better for Turvey, as a brush with the barrier left the 30-year-old lingering down in 15th on the grid and unable to make much progress through the field, ultimately coming home in 13th.